So, as you know, my giveaway has ended, and thanks so much to everyone for participating!!!!! I know, it's been a week since it ended, and I am very sorry that I have not managed to pick a winner until now! Work has been very hectic, and it's still not out of the way yet! So to recap, what will you win? The winner will win a Pandora Inspired Charm Bracelet with 10 charms of your choice, from The.Wild.Things!!!!!! Congratulations babe!!! 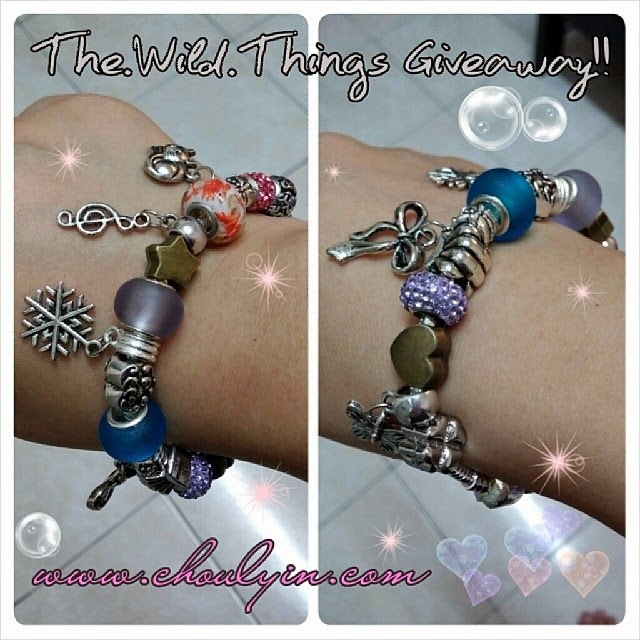 You have just won a Pandora Inspired Charm Bracelet thanks to The.Wild.Things! Look out for my email in your inbox, and happy choosing your charms!!!! help your child becomes an essential part of NARR8 as the original phase.